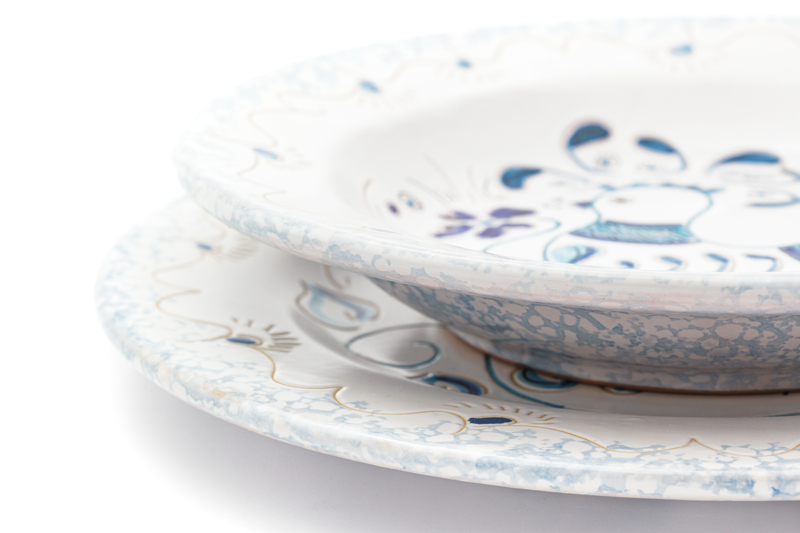 The fine and solid dining set is meant as a design set embellished with glazed ceramic plates, designed and decorated by hand. 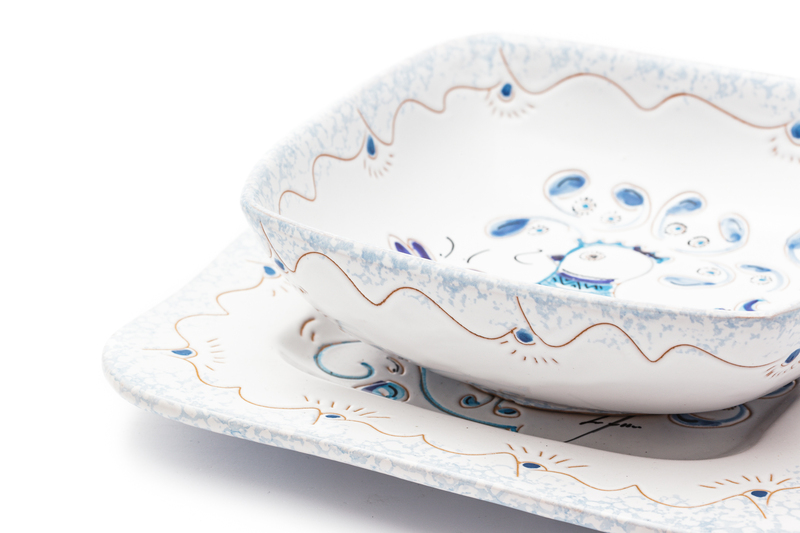 It consists of four elements: a flat plate, a soup plate, a fruit plate and a soup bowl, with a square version. 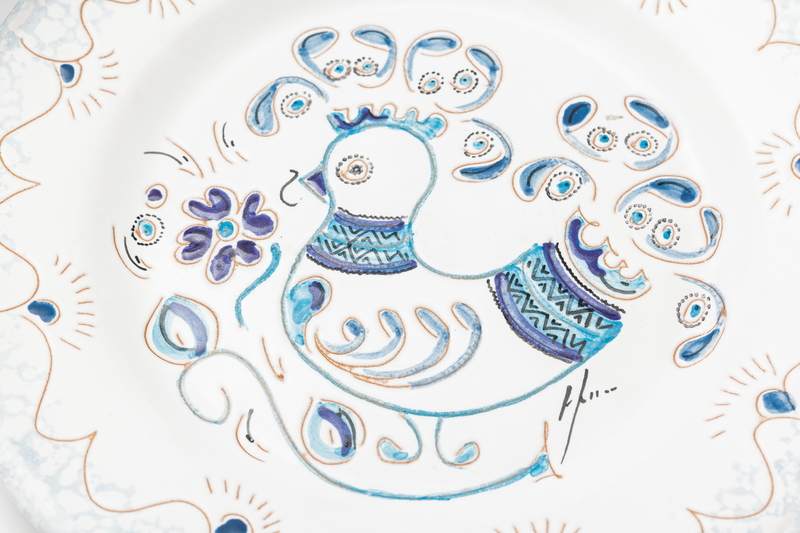 The service is part of the Linea Blu collection, featuring the classic lapwing motif decorated in elegant blue shades.